Traditional Rioja, quite naturally enough, has a great following at Berry Bros. & Rudd; the synergy of values and history is self-evident and the wines, of both colours, are to my mind some of the most distinctive and under-rated in Europe. When one visits the area around the old railway station at Haro, one is overwhelmed by the role-call of great names, all located in close proximity to one another, all famous names... with Tondonia, la Rioja Alta, CVNE all stalwarts of the Berry Bros. & Rudd list. The other famous name, hitherto absent from our catalogue, and only, in all probability, to avoid the embarrassment of such riches, is Muga. Tasting the wines recently, we decided that Muga were every bit as good as the others and so we now complete the Haro jigsaw by proudly purchasing them for the first time. Bodega Muga was founded in Haro in 1932 and is still in family ownership; the company farms 250 hectares in La Rioja Alta and in addition has long-standing contracts with the owners of another 150 hectares. Located in the foothills of the Montes Obarenses, the five principle vineyards (El Estepal, La Loma, Blatracones, La Loma Alta, and Sajazarra) share clay and limestone soils, each with its own unique microclimate, informed by the happy coincidence of continental, Mediterranean and Atlantic influences. The extended Muga family controls all aspects of the production and advocates the complexity afforded by the entire canon of grapes, that is to say Tempranillo, of course for the red, but also Garnacha, Mazuelo and Graciano in addition to Viura and Malvasia for the whites. The key to everything here is wood, from the magnificent 18th century wooden Bodega to the impressive collection of 14,000 barrels used for the maturation. In addition the wines are fermented in large wooden casks, of which there were 90, all of subtly differing sizes, at the last count. An in-house Cooperage employs three experts full time in addition to a ‘Cubero’, a specialist who makes and maintains the large casks. It should come as no surprise that vinification is traditional with racking every four months and clarification with egg-whites. The residual egg-whites, together with the discarded lees go to make up a high quality compost, which serves as an organically sustainable fertiliser. And so the whole process resumes, nourishing itself as it will surely nourish those who sample their most impressive range. One of Rioja’s signature wines and certainly the most distinctive label from Muga, Prado Enea is aged for seven years in a combination of vat, cask and bottle, its 2006 manifestation cleaving the traditional to the modern with powerful French oak tannins framing a magnificent savoury personality. An almost meaty vitality and more than a whiff of wood-smoke underlines the individuality of this truly great wine, its dark fruit core enhanced by notes of tobacco box and the kitchen garden. 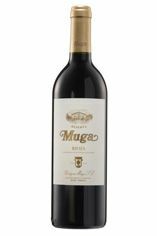 Muga’s excellent 2010 is a blend of 75 percent Tempranillo, 20 percent Garnacha with the balance is shared between Graciano and Mazuelo. The wine has been generously aged for 24 months in a combination of French and American oak, none of which is new. 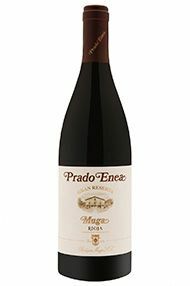 An archetypical Muga nose, savoury and rich, with hints of crushed raspberry and black pepper, leads onto a concentrated mid-palate, toasty, generous and long, with chalky tannins providing impressive architectural support. A blend of the classic Rioja grapes with Tempranillo dominating the blend, this is full of vanillin spice and bright red fruit. Beautifully structured with fine tannins, this will clearly reward some extended time in the cellar, if you can keep your hands off it! 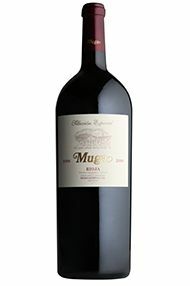 Bodegas Muga is one of the great names of Rioja, located in the centre of Haro, a stone’s throw from López de Heredia and La Rioja Alta. 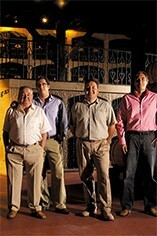 Founded in 1932, Muga remains family owned. This wine is a superb effort from the warm 2009 vintage, sitting happily alongside the best Prado Eneas. The nose reveals a wealth of hedgerow and forest fruits muddled together with notes of sweet spice and vanillin. Underneath sits a core of dense, ripe blackberry and mulberry fruit. The palate is characterised by a beautiful silkiness, ripe yet gradually building tannins provide structure for the richness of the blackberry, wild strawberry and damson fruit. 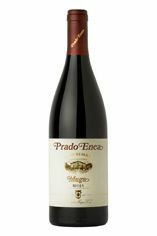 Full and rich with great power, held together by the wine’s underlying freshness, this is an almost hedonistic Prado Enea which will develop into a beauty over the coming decade and beyond. Drink 2020-2032+. Along with 2001, 2004 is proving itself as a great recent Rioja vintage, an excellent backdrop for the famous Prado Enea Gran Reserva. Made from 80% Tempranillo, 7% of both Garnacha and Mazuelo and 6% Graciano, the wine has already enjoyed 12 months in vat, three years in barrel and another 36 months in bottle, bringing us pretty much up to date. Garnet to blood red of hue, the wine is savoury, fat and indulgent, with a whiff of gentle decay which is far from unattractive, drawing the taster into a den of tobacco and leathery sapidity. The wine finishes strongly with firm acidity and a baroque crescendo. Bodegas Muga was founded in Haro in 1932 and is still in family ownership, farming an impressive 250 hectares in La Rioja Alta. The winery is located in Haro’s golden triangle of bodegas, its immediate neighbours being La Rioja Alta and López de Heredia. The extended Muga family controls all aspects of the production and advocates the complexity afforded by the entire canon of grapes: Tempranillo, of course, but also Garnacha, Mazuelo and Graciano for the reds, in addition to Viura and Malvasia for the whites. The key to everything is wood, from the magnificent 18th century wooden bodega to the impressive collection of 14,000 barrels used for the maturation. Organic viticulture is also fundamental here and the resulting wines are pure, linear of structure and memorable. 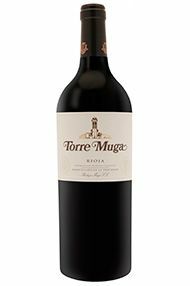 Torre Muga is aged for 18 months in new French oak and is made up of 15% Mazuelo and 10% Graciano in addition to the core of Tempranillo. Spice from the oak is married to the distinct berry fruit character which is pure, direct and powerful. In time power will somewhat reluctantly cede to complexity and the work of art will be complete.